It began on a rainy Saturday afternoon as Margo was entertaining her new neighbours at a small housewarming party. A car ran into one of the trees on her property, and an injured man was soon installed in her guestroom. But the smashup, Margo soon learned, was no accident. The handsome, ruthless stranger was after something in the house, and nothing – not even Margo herself – was going to stand in his way of getting it. The goddess of all gifts second-hand has been very good to me recently, with at least one lovely gothic a day picked up at the local charity shops this week. 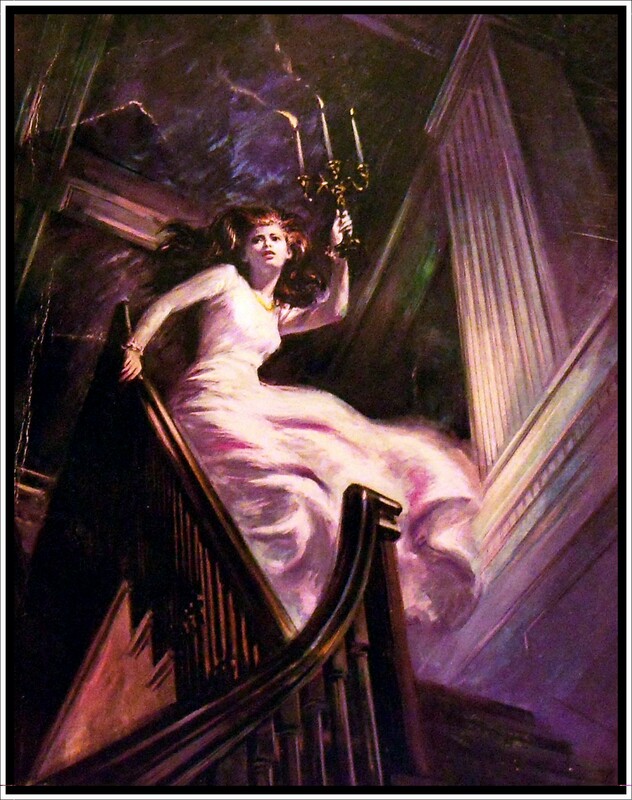 Monday’s acquisition was the very fair of face Widow in White and oh, how I love this cover! 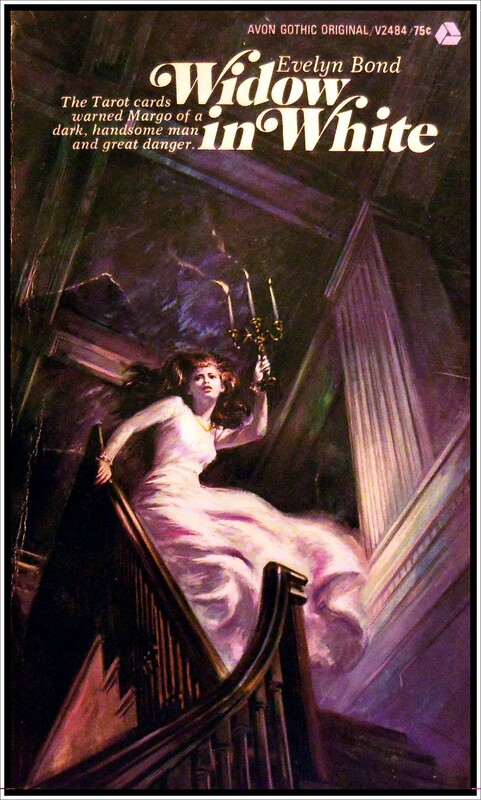 One thing I’ve noticed about my Avon gothics though – the cover art is usually stunning but the covers are particularly vulnerable to wear and tear. Quite often the artwork is almost completely scuffed off. This one is in very good condition for an Avon gothic – well, for one found on this side of the Atlantic anyway. Morris Hershman (born 1926) wrote under several pseudonyms, including Sara Roffman, Janet Templeton, Lionel Webb and Jessica Wilcox. And it’s his Evelyn Bond persona that looks to be the most prolific, with at least twenty gothics published in the 60’s and 70’s. Morris Hershman was born on January 31, 1926. He attended New York University. On September 6, 1969, he married Florence Verbell, a writer and editor, though they are now divorced. Hershman writes under the pseudonyms: Evelyn Bond, Arnold English, Sara Roffman, Janet Templeton, Sam Victor, Lionel Webb, and Jess Wilcox. He also writes under various other private pseudonyms. A member of the Mystery Writers of America, Morris Hershman resides in New York City. 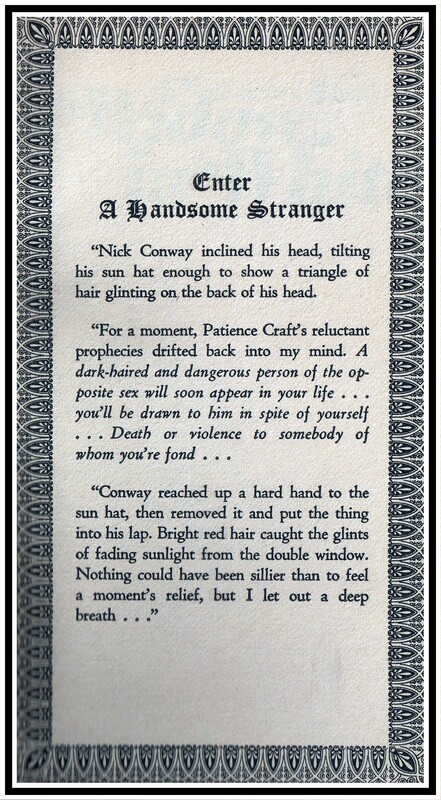 And some more information, with scans of all his lovely gothics, can be found over at Fantastic Fiction HERE.